Katherine Rafferty, Ph.D., M.A. | July 6, 2017. This essential question was posed by the mother of one of 33 children living with chronic conditions whose parents I interviewed for my recently published study in the current issue of Health Communication. The study is titled, “You know the medicine, I know my kid”: How parents advocate for their children living with complex chronic conditions. Twelve of the 33 children were living with rare genetic conditions that had an unknown prognosis or required life-long care. Interviewing 35 parents, I found that parents’ advocacy roles are a complex communicative process that extends beyond simple chronic disease management and transcends across multiple settings simultaneously (hospitals, schools, social media, family). To put it simply, advocacy is another type of work that parents of chronically ill children must assume alongside daily life responsibilities (e.g., working, tending to other children), as well as new and unexpected responsibilities, such as tube feeding or coordinating appointments. Altogether these responsibilities result in parents, on average, spending an extra 30 hours per week tending to the needs of their child’s chronic illness (National Alliance for Caregiving & American Association for Retired People [AARP], 2009). Coming down on the opposite side, Charlie’s case has been championed by such figures as the Pope and the President of the United States, who have both expressed solidarity with his parents and the hope that something more can be done to help the little boy. If the international attention surrounding Charlie’s case is somewhat unusual, the challenges his parents have faced are common and resonate across national boundaries. Today, one in 5 North American children are diagnosed with a chronic condition (Boyse, Boujaoude, & Laundy, 2012). That means as many as 30 million parents may be tasked with the responsibility of being their sick child’s primary advocate. My study shows the complex balancing act that takes place as parents become experts in advocating for their chronically ill child. In particular parents described advocacy as a task that included behaviors such as: establishing roles and responsibilities across team members (e.g., extended family, friends, healthcare professionals), fostering relationships within one’s social network, and staying informed, so as to effectively coordinate their child’s care team and advocate on his or her behalf. 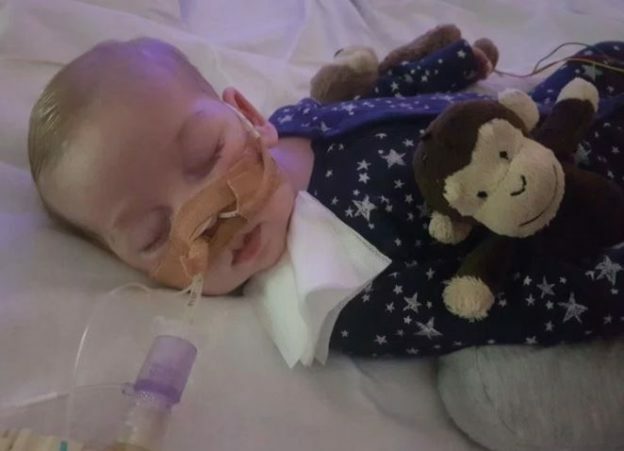 The reality of the fears and frustrations expressed by this mother is illuminated to the whole world through cases like Charlie Gard’s. If parents’ primacy as caregivers and their wishes for their child’s treatment are not respected, ultimately it is not only the relationship between parents and health professionals that breaks down, but the quality of care the child receives is likely to suffer as well.